Cover art by Julian Lennon. 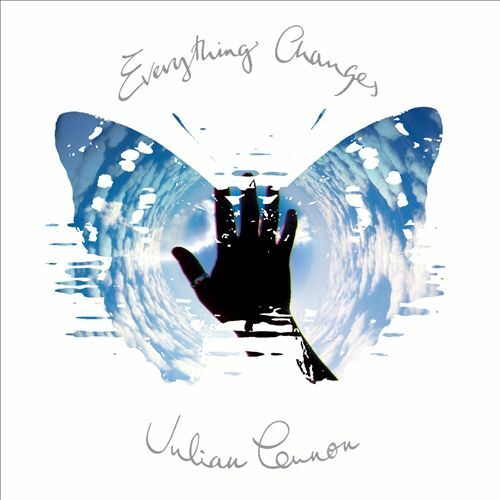 Though it was previously released in 2011, “Everything Changes” is being touted as Lennon’s first album in 15 years (it includes additional tracks not on the 2011 release). Produced by Lennon and Grant Ransom, it features performances by Steven Tyler as well as producer/musician Peter Vettese (who has played keyboards with artists as diverse as Jethro Tull and the Pet Shop Boys). Collaborators include Gregory Darling, Justin Clayton and Guy Platt. Compared with 1984’s “Valotte,” Lennon’s most well-known album, the listener finds less immediately-catchy pop hooks and more of an overall lush, haunting sound, that is modern without catering specifically to any current trends. This entry was posted in Art, Miscellanious, Music and tagged art opening, Carolyn Edwards, Carolyn Soyars, Cynthia Lennon, John Lennon, Julian Lennon, morrison hotel gallery, The Beatles. Bookmark the permalink.